It’s safe to say that I have eaten at least one apple a day, every day, since I was in middle school. Yep- they ARE my favorite fruits! And quite a lot of years and a LOT of apples were eaten in that time! That’s what I was happy to try the Crispy Greens Crispy Apples with my breakfast this morning, as well as the Crispy Asian Pears. What I liked about these is that the ingredients is just fruit. 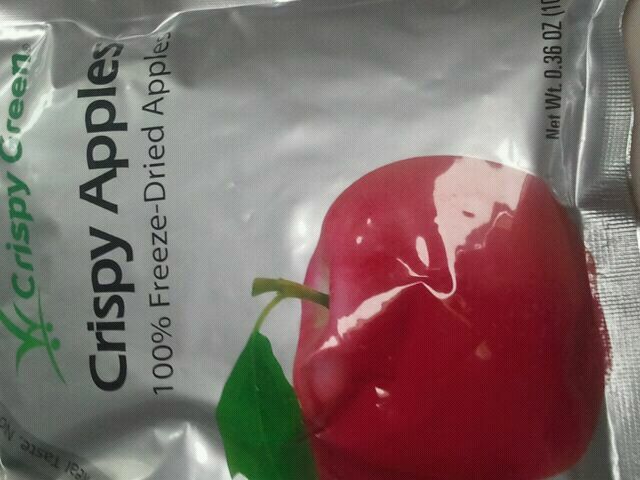 No salt, preservatives, or sugar added, it’s just freeze dred fruit. According to the bag, both of them are also gluten free, vegan, dairy free, and peanut free. As you can see, there was a texture difference. Not huge, but certainly there. The Crispy Apples were just that- crispy. They also had a nice little crunch to them. They were sweet, yet tart, and pretty good. 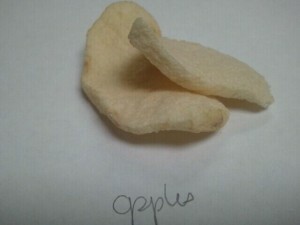 The Crispy Asian Pears were very soft. Almost as if they were the apples, but I left the bag open over night and they softened up. 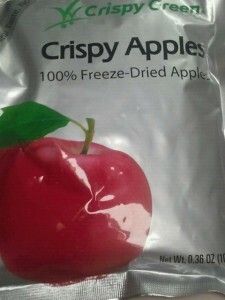 They just didn’t have the same crunch and crispy consistency that the apples had. However, the flavor was really yummy! They tasted just like a juicy pear would. They were also very sweet. In fact, I couldn’t get over just how sweet they were, and to think there was no added sugar! 10 grams (1 bag) is 40 calories, 0 grams of fat, 8 grams of carbohydrates, 1 gram of fiber, 7 grams of sugar and 0 grams of protein. Have you eaten one of the same things every day? What is it? I got these to try, for free, from the company. i pretty much eat kabocha every day (orange palms explained!) – i could never get tired of it! 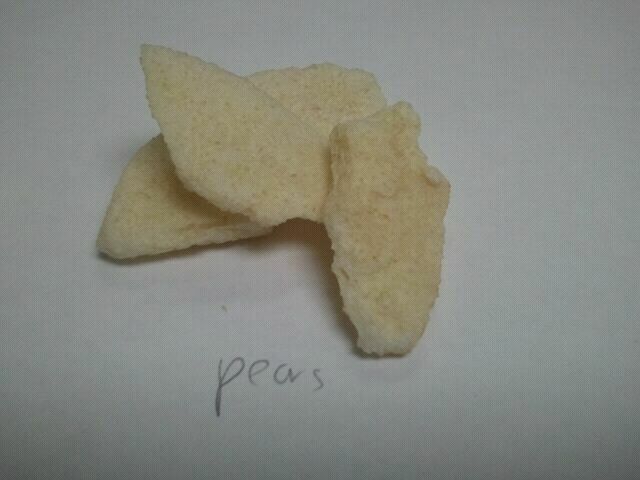 it’s interesting that the asian pears are soft since they’re so crisp when fresh. do the fruit still have their peels?